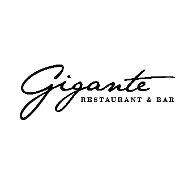 Gigante raises the bar for the ultimate dining experience. The same group who brought you the famed Mulino’s of Westchester and Mulino’s at Lake Isle, introduces you to Gigante. This Italian influenced, American modern cuisine is prepared by the acclaimed-starred Chef Samuel Kim. The delicious and artistic display of culinary mastery is only matched by the classic contemporary decor of the space. Designed to be a modern-day supper club with feel good music that sets the vibe for a most memorable experience. Gigante is sure to stimulate all your senses.